Using a GPS device to track someone’s whereabouts or their vehicle without consent would be against the law, under legislation signed into law by Governor Scott Walker this week. 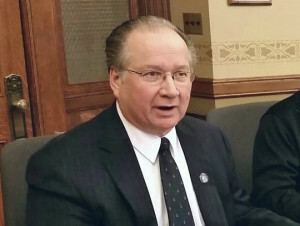 The legislation from state Sen. Jerry Petrowski (R-Marathon) and Rep. Adam Neylon (R-Pewaukee) is intended to provide more protections for victims from stalking and harassment. There are several exceptions for law enforcement and for parents keeping track of their minor children, as well as for businesses to keep track of vehicles they own that are used by employees. Police can still get a court order and businesses can install GPS devices on their own fleet of vehicles. The GPS law covers all devices used to track people without their knowledge, including cell phones.